This script is fully dedicated software solution with all the required features for restaurant business and gives you possibility to keep restaurant menus on your website up-to-date with easy. 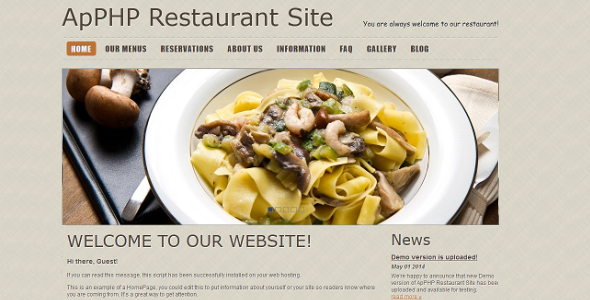 Creating a restaurant’s online menu is very easy with ApPHP Restaurant Site script. You can add, update and maintain the dishes, prices and details as well as sort them how you want. Also you can create as many menus, categories, and menu items as you need.